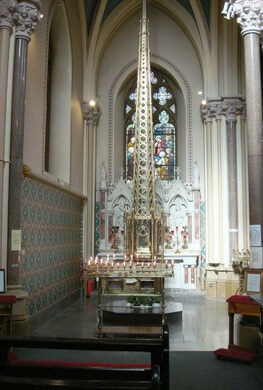 A gorgeous French Gothic church holds a somber, morbid reminder of the religious persecution that scars Ireland’s past. 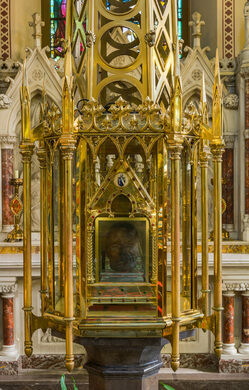 Inside, the preserved head of a saint lies within an intricate shrine that resembles both an ornate cage and an oversized golden crown. 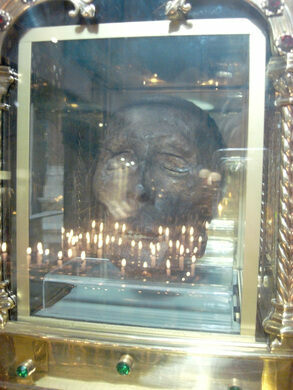 Oliver Plunkett, a 17th-century Irish martyr, became Ireland’s first new saint in nearly 700 years after being canonized in 1975. In 1997, he was deemed the country’s patron saint for peace and reconciliation. 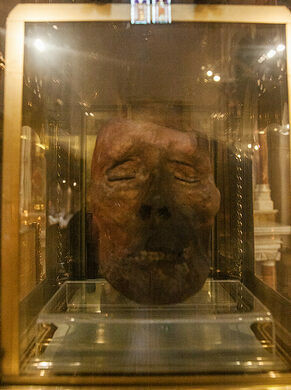 Oliver Plunkett became a Catholic priest in the 1650s, during the turbulent aftermath of the Cromwellian conquest of Ireland, which saw the persecution and execution of Roman Catholic clergy. Despite the prolific anti-Catholic sentiment, he was still able to found a Jesuit college. His college contained both Protestant and Catholic students, making it Ireland’s first integrated school. But sadly, Plunkett was unable to escape eventual persecution. He soon became a victim of the Popish Plot, a fabricated conspiracy concocted by an Englishman that was meant to create further anti-Catholic hysteria. Plunkett was found guilty of high treason for “promoting the Roman faith” and sentenced to death. As was customary for those accused of high treason, he was brutally hanged, drawn, and quartered on July 1, 1681.